Last Thursday, I spent the day in Johannesburg as part of the Breast Course for Nurses. 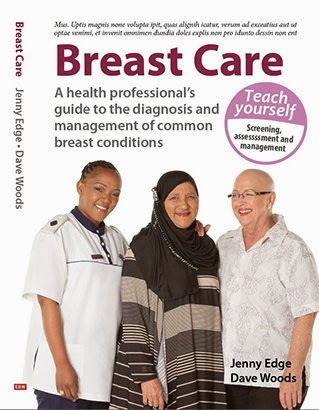 This course is being run by Dr Sarah Nietz (a breast surgeon at Charlotte Maxeke Hospital) and Sr Sheila Correia (a private Registered Nurse from Cape Town). Sr Colleen Davis of Medi-Clinic will be assisting with the course admin. I spent the day there to assist where needed. We had over 70 health care workers attending! This is one of the biggest groups we have ever had! There were health care workers from Charlotte Maxeke, Helen Joseph, Pholosong, Edenvale, Baragwanath and many more. The day started with registration followed by sponsored tea and snacks. We then got going with the day by allowing each nurse to introduce themselves. It is always very exciting to have men in the group and we had 3! Sr Portia introduced herself and explained how spreading knowledge is the key to saving lives. Dr Sarah Nietz presented the challenges of managing breast cancer in Southern Africa. She mentioned that currently, Johannesburg has 3 specialist breast units but if you went according to the population of Johannesburg, you would need over 25 of them to actually cope with the breast cancer burden. Sr Sheila followed with introducing and giving an outline of the Breast Course for Nurses and the PEP series. After lunch, we went through the clinical examination of the breast followed by a practical session. Dr Nietz had very kindly arranged a few patients to be “models” for the nurses to examine. A brief overview of the patient was provided and then the nurses had the opportunity to examine the various patients. This was an excellent session and the nurses commented on how much they learnt. Thank you to the patients that volunteered for this. As always, a lot of hard work goes into a course like this. Thank you to Sr Sheila Correia and Sr Tumeka Nojoko for arranging the logistics before the course. Thank you to our sponsors: Medi-Clinic and Novartis. A very big thank you to Dr Nietz for organising the course in Johannesburg. We are very excited to see how the nurses use the information that they have learnt. We will return next year for the 2 day course. Keep up the good work, Sr Lieske and team. We eagerly await the day Botswana nurses will alsoo be able to part of training. Numerous ladies are cognizant how their Breast shows up. A few ladies agonize over the little size while some are stressed over the enormous size.